Ruark Audio produce a beautiful range of terrific-sounding, affordable music systems. Distinctive, retro styling is Ruark’s hallmark; couple that with stunningly musical sound and we have a real winner. No surprise then, that the brand new MR1 mk2 bluetooth speaker is a What Hi-Fi? Awards 2018 winner and an instant hit at Adventures. We loved the mk1, but the mk2’s are even more appealing: gorgeous looks, streamlined design and sound quality that’s been improved in every way. 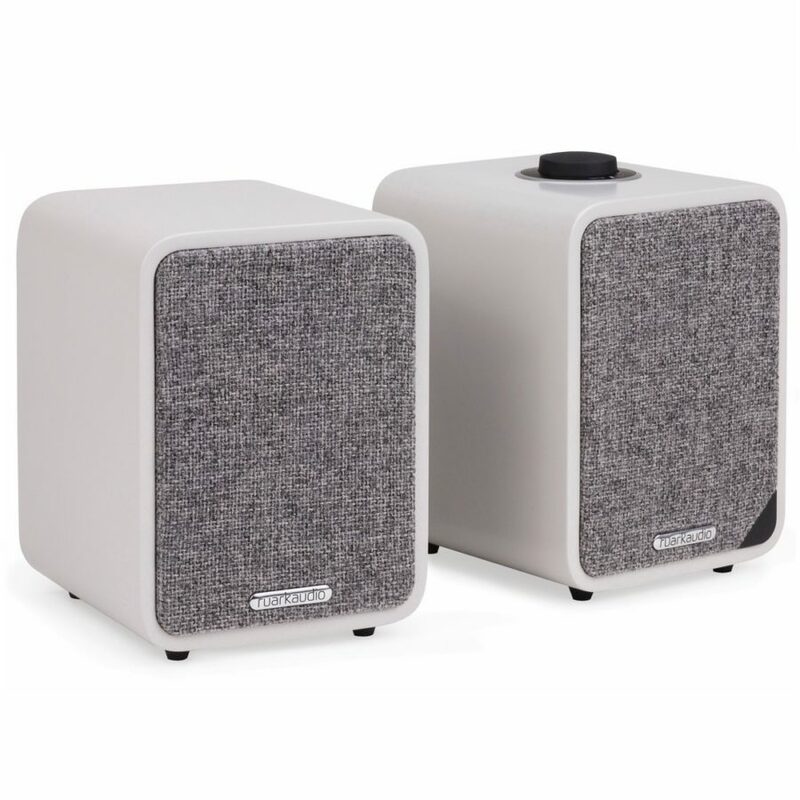 The step up in performance in impressive – wonderfully musical sound, delivering rich detail and fluid dynamics on a whole new level -both the design and performance of these desktop speakers are excellent. The handcrafted wooden cabinets are beautifully made, the speakers are good to use, and they’re just the size to fit onto a bookshelf, TV stand or desk. Or in a Christmas stocking😉. Alongside R-series portable radios from £199, there’s a Ruark gift for all this year.